Kind of reminds me of Omega Doom. Here's a few new(er) ones of myself. Years ago at prom, look at the beast in action! Nine days after I bought my car, my sister bought one just like it, and here we are. I just made the local newspaper! congrats on the exhibit, man! I was in the Military's news paper, The Stars and Stripes, when I was in Iraq if anyone cares. Enjoy the hair while it lasts Rane. Yea I remember that pic. Why you gotta jump in Rane's spotlight? I know rane i know. I'm gonna go.... GO CUT MY SELF SO I CAN FEEEL. I was just mentioning I had a news paper picture also, it's cool to get mentioned. The article I mean. You only have the picture? I use to be able to find the news paper article that went along with the picture, but no luck now. Chick on the right looks like the girl from American Pie. 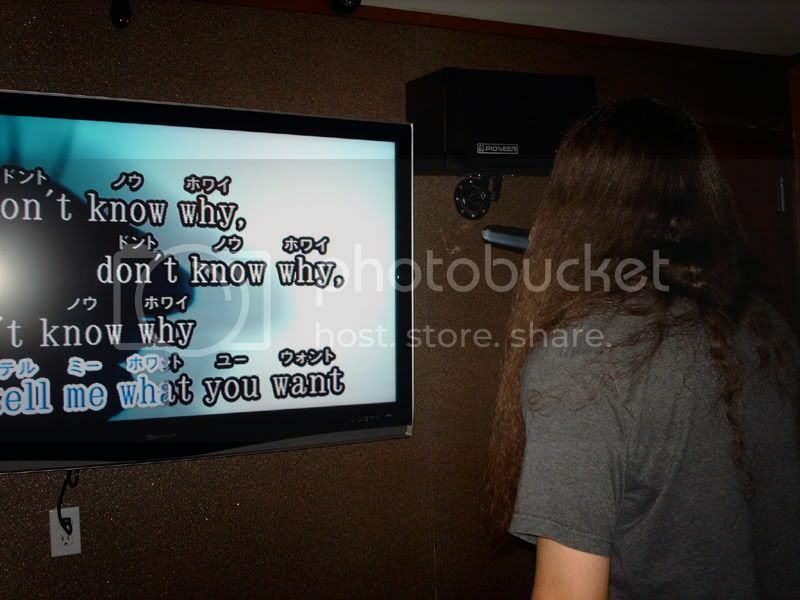 Japanese karaoke is the best. Hahaha wow. I'm still waiting for someone to record a fixed version of this song, one in which the guitarist wouldn't have a broken hand. Anyone who does not know that song should be kicked right out of our little internet group right now!